WhatsApp, the popular messaging service controlled by Facebook, is used by a huge amount of people all over the world. The app for this messaging platform is present on both Android and iOS. WhatsApp has a great advantage on other messaging service due to many reasons. The app provides simple UI, which makes it easy for the users to use it. In addition, it is free of cost and does not have any ads. Moreover, the support for many other features such as videos, music, different types of files, and PIP mode makes it lead the race in the market. In addition to this, the app also provides voice calls as well as video calls. As Samsung is the most used brand for smartphones all over the world, we will have a look today on how to WhatsApp download for Samsung. This article will solve all queries and doubts related to how to download WhatsApp on Samsung phones. Step 1: Open the Google Play Store app on your Samsung device. Now, in the search bar, type "WhatsApp." Now click on the first result that appears in your search. Step 2: When you click on the WhatsApp icon in the Play Store, it will take you to the actual place where you can download the app. Here you can view the size of the app. In addition to this, you can also see the reviews that the users have given to the app. Apart from this, you can also write in your own review or feedback about the app once you have downloaded it. Step 3: To begin the download of the app, all you need to do is click on the Install button. 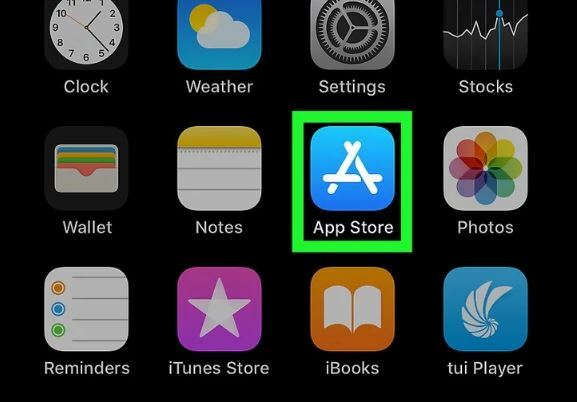 This will begin the downloading process and your app will be downloaded within a couple of minutes depending on the speed of Internet connection. Once the download in completed, a notification will be popped stating the completion of the process. You can either click on the app icon on your homepage or just click on the "Open" button present in the Play Store. Now that you have WhatsApp download for Samsung Galaxy handset, let us see how to setup WhatsApp on Android and use the app. Just follow the below steps and you will be done for the day. Step 1: Once you download the app, launch the app and click on "Agree and continue" when asked. Now, in the next screen, you will be asked to provide your phone number. Enter your phone number with the correct country code in the dialog box and Click OK. Step 2: Now, the app will need to verify your number. Hence it will provide you with two options to do so. It will either ask to send you an OTP through a text message or it will either make a call on the same number to convey you the OTP. You have to enter the OTP when asked. Step 3: Once you have entered the OTP and verified your number, it will ask for a couple of permissions. It's up to you whether to grant the permission or skip it. After the session of permission is over, the next screen will greet you. All you have to do is click Continue. Now, as you have setup your account on WhatsApp, you are now free to use it. Using it is extremely simple. All you have to do is search the contact with whom you have to chat with in the search bar of the app and start chatting. You can also send videos, audios, files, documents, screenshots, and much more. In addition, you can all also set up your display pic, adjust your privacy settings, block someone, add to your status, and much more things from the Settings of the app. Sometimes, it is obvious due to some or the other reason that you might lose your data. This can be due to factory reset, or damaged phone, or broken-screen situations. At such times, it is better to use Tenorshare Android Data Recovery. This tool assists you to recover all your lost data such as messages, contacts, videos, and photos. This software allows you to recover your data from internal phone storage as well as from an external memory card. Hence, the likelihood for you to lose your data is reduced to a great extend when you employ this tool. All things considered, you just had a look on the steps as to how you can clear your doubts regarding "WhatsApp download Samsung." The article offers you detailed steps on how to install WhatsApp on Samsung Android phones. In addition, it helps to install, setup, and use WhatsApp on your Samsung handset or any other Android smartphone. We wish we were helpful to you. Do let us know your feedback on the above article. You can let us know by commenting below.